His entire life is baseball, but major league pitcher Pace Martin knows that injury and age have their razor sharp talons in him and aren't letting go. The thought terrifies him. The doctors are telling him a problem with his rotator cuff is causing pain and his pitching is crap because of it. The icy cold ball of misery in his gut is just added fun. He certainly wasn't in the mood for reporters after a thirty minute workout nearly brought him to his knees, but the Pacific Heat team publicist Samantha McNead had set up a series of interviews with crack reporter Holly Hutchins and despite first mistaking her for a fangirl, Pace quickly realizes that his normal taciturn reaction to the media isn't going put her off. Well, that and his stalker showed up just as he was trying to give Holly the brush off and it was either call the cops on the unbalanced woman...again...or introduce Holly as his new girlfriend and sort of kidnap her to get away. Holly Hutchins' whole life is her job, and she takes pride in her award winning articles and ability to ferret out the truth behind even the best of faces. The truth is paramount to her, and so getting the series on the Pacific Heat, an expansion team in the sport of baseball, is an exciting opportunity to delve into the world of America's pastime and expose its seediest underbelly. She was even expecting Pace Martin to hold out on her, as he was known for his truculence over his personal life. This time, though, she saw his latest abbreviated practice and she was determined to ask some hard questions about the rumors that his shoulder is shot. Getting hijacked by a major stud of baseball to ward off the batty attempts at romance from an erstwhile stalker, though, was just the teensiest bit unexpected. Never let it be said Holly couldn't make the unexpected work for her. He's all about baseball, she's all about the truth. Neither believe in happily ever after, or love, for that matter. Can an athlete on the edge of losing it all find his heart with a reporter willing to put it all on the line for a story? 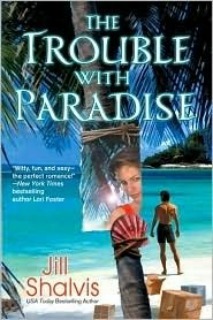 I'm on a Jill Shalvis kick lately, apparently, with the simply irresistible Simply Irresistible, the slightly more troublesome The Trouble With Paradise, and now the solid base hit of Double Play. And despite my overall boredom with baseball as a sport, there was nothing boring about this nifty little romance about two people consumed by their jobs until going head to head with each other. Pace and Holly were nicely matched and their relationship development glided along at a smooth, steady...well...pace. Their chemistry was solid and their interactions provided a lot of humor, tenderness, and heat. I'm starting to notice that the most consistent aspect of Shalvis' books is a genuine ability for witty, quick dialogue and a very appealing sense of comedic timing, especially between the lead characters and secondary characters. 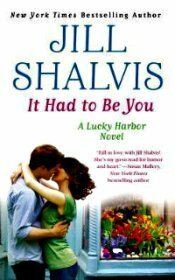 And Shalvis did an especially nice job here with her secondary characters, especially Samantha and Pace's best friend and catcher, Wade, who are featured in this book's follow up, Slow Heat. There was enough development between the two to heat things up and tantalize for the next entertaining read. There were several things about Double Play that I loved, not the least of which were the realistic points of concern for athletes and sports in general and baseball in particular. I don't follow the sport, so I have no idea if they were expounded on in realistic ways, but anyone familiar with headlines knows of the concern with banned substances, the pressure to win, the pros and cons of fandom, and the importance of public relations, and anyone born in the country is aware of the nearly childlike fascination generations have had and maintain for the sport. Each of these issues and more were brushed over and given a nod throughout the story and it added a sense of genuineness to the read that I both appreciated and enjoyed. And the quotes at the beginning of each chapter were truly entertaining. The combination of the solid, believable characters and the personal issues that added dimension to them, and a steady, solid plot that included the sport of baseball and the perks and price of being a star athlete came together nicely in this book and provided several hours of sheer sports romance enjoyment. I would have liked to have seen a bit more of Pace's and Holly's past explored, though, and some more meat given to the evolution of their characters as individuals. Holly in particular had a pretty strong stance on a disbelief in love and while obviously that perspective changed over the course of the book, I would have liked more of an acknowledgment and clearer definition of that change. In contrast, Pace's abnormally insular life slowly bloomed to include Holly and an adorable ragamuffin crew of kids, but in that case, I would have liked a bit more backstory and definition of those ancillary characters. The explanation for them was a little thin, and their individuality was never quite established to my satisfaction. I thought they were a bit underused (but that's maybe because I was so enamored with them). My only true issue with the book is one that I've noticed through all three Shalvis titles I've now read. Given that these are romance novels, I expect the slightly formulaic meeting, romance, conflict/break up, then resolution to get to the HEA, but in this book as in the other titles previously mentioned, I'm not totally satisfied with the conflict between the characters as they approach the conclusion of the book. In each instance, as it was here, that conflict seems a bit muddy and not clearly defined, then suddenly the characters are either not seeing each other any more or not speaking to each other, or whatever. But there's just not significant enough...well...conflict to really justify the rocky relationship aspects of the plot. It's the one issue that's consistently keeping me from rating these books higher than I have. 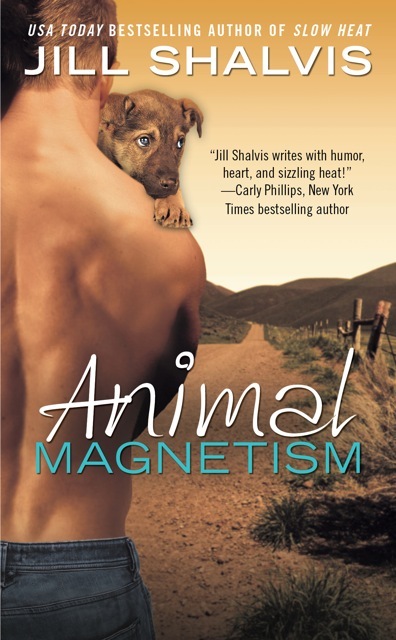 Be that as it may, Double Play is a solid, thoroughly enjoyable read with a lot of nice points, and I'm happy to have stumbled across Jill Shalvis' books. I've got still more to read (I do so love when authors I favor are prolific little buggers) and expect many more hours of reading entertainment in the near future.